Considered by most to be the best of all sweet cherries: The fruit is consistently large, deep red, sweet and juicy. The trees are very hardy and consistently produce heavy crops. Prunus avium is generally grown as an ornamental cherry tree. It is native to Europe and Asia and has been cultivated in the U.S. since colonial times. 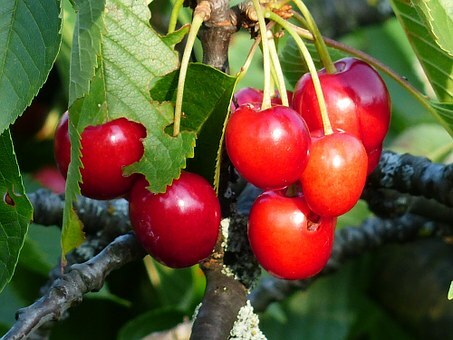 Although it is a parent of many of the sweet cherry cultivars sold in commerce today for fruit production, its fruits are smaller and not as sweet or tasty as the cultivars.